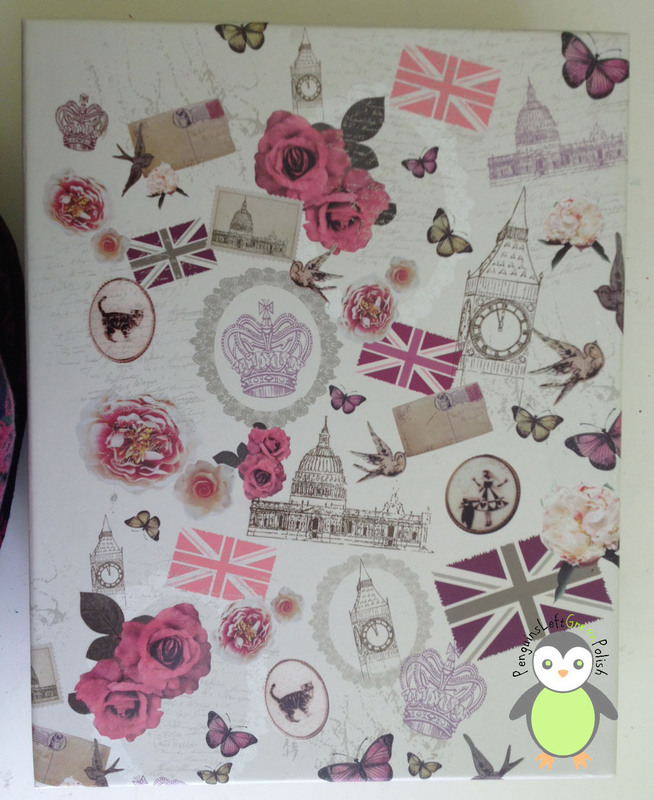 Ask a British Nail Blogger - How Do You Store Your Polish? This week for ask a British nail blogger the question is "how do you store your nail polish?" 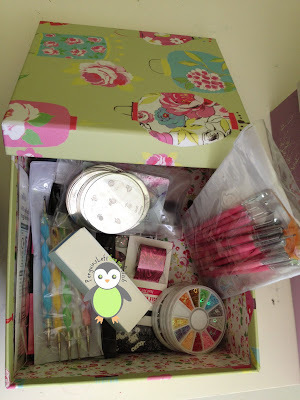 Everything from my nail art brushes, dotting tools, random nail art wheels, nail buffer, stamping plates, nail wraps and some other bits and bobs! 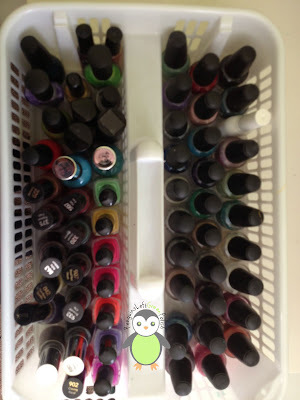 All my Barry M, Orly, KIKO, Models Own, NYC, W7, Nicole by O.P.I, O.P.I, China Glaze (1 only!!!!) some essence, Rimmel London and some miss sporty nail polish. 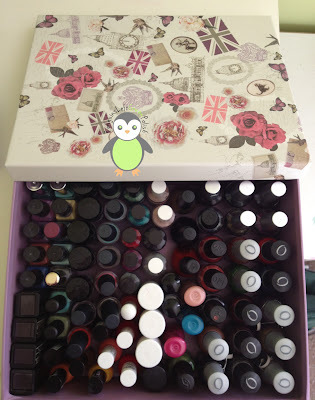 In total I counted 136 nail polishes :O but its not enough and we all know it!